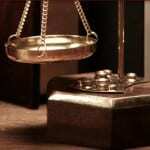 Our attorneys have both criminal prosecution and criminal defense backgrounds. We are well versed in the issues and rules relating to defending people accused of crimes. We defend charges brought against both adults and juveniles. 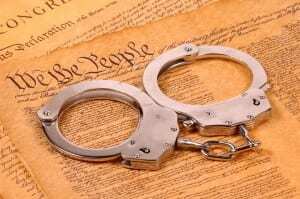 We defend against all manner of felonies and misdemeanors. Contact us when you need a Criminal Defense Attorney. “Innocent until proven guilty.” That means the criminal defendant is not required to prove anything at trial. It is the prosecution, who must prove every element of every crime beyond all reasonable doubt. We are all familiar with that common precept of criminal law. However, do you believe it? It alternatively has been stated that, when a criminal defendant enters the courtroom at the start of a trial, the prosecutors (of course) think he’s guilty – but, also, the bailiff thinks he’s guilty, the Clerk thinks he’s guilty, the court reporter thinks he’s guilty, the spectators think he’s guilty, the judge thinks he’s guilty, and the jurors think he’s guilty. Why else would he be charged with a crime or crimes? So, unless something is demonstrated by the defense at trial, the jury already (from the start) is leaning toward finding the defendant guilty. This viewpoint might better describe the predicament you find yourself in when you are accused of committing a crime and why it is in your best interests to retain a criminal defense attorney as quickly as possible. In addition, the prosecution has a lot that it can stack against you. It has the police to perform investigations for it. It has its own in-house investigators to assist with that. It has its victim/witness coordinators to speak with all of the alleged victims and witnesses. It has a budget provided by the County. It has numerous prosecutors hired by the County. It can overcharge you with bigger crimes you never committed (with the threat of longer jail/prison sentences related to those bigger crimes), to coerce you into pleading guilty to some lesser crime which you might or might not have committed. It is not uncommon for a person to plead guilty to a crime he didn’t commit, just to avoid facing the prosecution’s threat of a trial (and heavier prison time) for an even bigger crime he didn’t commit. Yes, there are some innocent people in our jails and prisons. All of these factors are aligned against you when you are accused of committing a crime, naturally leaving you feeling very vulnerable and alone. Simply put, without top-notch legal representation in the form of a criminal defense attorney standing beside you and defending you against it all, the machinery of the state can crush you. When a uniformed officer or detective offers to listen to “your side of the story,” you should immediately see red flags pop up, hear alarm bells go off and immediately call a criminal defense attorney. You should politely decline to talk with them. The police are well trained to lull you into speaking with them. They will be agreeable with you during conversation, nod their heads and smile a lot, perhaps touch your arm periodically to establish some air of closeness, etc. They will sound non-coercive by asking for your permission to talk with you about their case. They will tell you they have some “standard questions” they have to ask. They will tell you they want to “eliminate” you as a suspect. However, that is all just an act. We’re not suggesting that the police are evil. On the contrary, they are just doing their job. So, always take heed from the Miranda Warnings you see given to an accused person on tv and in the movies: “anything you say can and will be used against you in a court of law.” That is exactly right; that is exactly what will happen. The police are not trying to “eliminate” you as “a” suspect, they actually are trying to “establish” you as “the” suspect. Don’t fall into the trap of thinking you are going to explain “what happened” to the police, so that they will realize you are innocent and leave you alone – only to find out later that the police and the prosecutor actually are construing your words in a manner that is consistent with your guilt, rather than your innocence. So, if you think you might conceivably be a suspect in a crime, when invited by the police to talk about it, just politely decline to do so – and get in touch with us instead. By retaining us as your criminal defense attorney, you will have done yourself (and our defense strategy on your behalf) a huge favor. Class A Felony – A $50,000 fine or up to life in prison, or both. Class B Felony – A $20,000 fine or up to 10 years in prison, or both. Class C Felony – A $10,000 fine or up to 5 years in prison, or both. Gross Misdemeanor – A $5,000 fine or up to 1 year in jail, or both. Misdemeanor – A $1,000 fine or up to 90 days in jail, or both. Public Defender Or Privately Hired Criminal Defense Attorney? Not everybody can qualify for a public defender. The court will ask you questions about your job status and your assets. If you do qualify for a public defender, you’ll have two things going for you: (1) most public defenders are experienced criminal defense attorneys and (2) your legal defense will cost you nothing. However, public defenders are in contract with the County. They are paid an annual salary by the County and they have a County-specified quota of cases to complete each year. So, your public defender might actually be getting paid only about $600 to work on your particular criminal defense case. As a result of this, people often complain that they can’t get in to consult with their public defender, their public defender never calls them back, and their public defender seems motivated to get them to plead guilty, so he can move on to his next cases. We hear those complaints all of the time. As a privately hired criminal defense attorney, we will cost you money. The higher the severity of the crime you are charged with (see above), the more it will cost you. However, we will expend every effort, and turn over every stone, to fend off the criminal charges brought against you. If motions to suppress or motions to dismiss can be brought on the facts, we will bring them. If alleged victims or alleged witnesses need to be interviewed, we will interview them. If discovery items need to be pursued, we will pursue them. You will be able to visit with us at your convenience during your case. We always will return your phone calls – no later than the next day. If you are in jail, we’ll come to visit you. You will have the benefit of us putting all the necessary time into your case as your criminal defense attorney. Someone once said that, when it comes to a criminal defense attorney, you get what you pay for. We are absolutely committed to obtaining the best possible outcome for you, given the facts of your case. Our experienced Tri-cities Criminal Defense attorneys service all areas of southeast Washington, including Kennewick, Pasco, Richland, and West Richland, as well as Benton and Franklin Counties. Similarly, our legal services are available to a all of Washington State.